Richmond Dental and Medical proudly participated in one of the largest events of the annual dental industry trade show circuit in the United States, the Chicago Dental Society’s Midwinter Meeting. The 153rd CDS Midwinter Meeting saw attendance up nearly three percent from 2017. Over the course of the three-day event that ran between February 22-24, nearly 7,000 dentists, approximately 9,000 hygienists, dental assistants, and office personnel, and many others from every corner of the dental community flooded Chicago’s McCormick Place. Nearly 8,300 exhibitors from the world of dental products and services joined in, as participants engaged with speakers, panels, and exhibitors to catch up on the latest dental industry trends, network, and earn continuing education credits. In September, the Chicago Dental Society's annual Midwinter Meeting was named to the Trade Show Executive Gold 100, the trade-show-industry magazine's annual listing of the previous year's top 100 shows. The Midwinter Meeting was the only dental trade show among the magazine's 2016 honorees. In addition, Richmond Medical and Dental donated $2,500 to the Chicago Dental Society Foundation, to provide basic dental care to the underserved in Chicago. 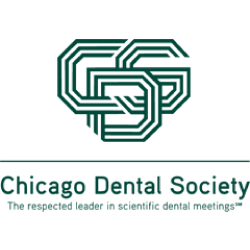 As of the fall 2017 newsletter from the Chicago Dental Society Foundation, donations to the fund have provided an estimated $3.9 million in free dental care/services. Multiple dentists took advantage of our show special, 20 percent off all orders placed at the CDS Midwinter. We enjoyed speaking to the many dental students, office staff, dentists, assistants, and hygienists who dropped by our booth for a sample bag of Richmond’s products. The Future Trends Forum takes place each year prior to the Chicago Midwinter Meeting and presents an in-depth look at issues that are important to the dental manufacturer and supplier community. During DTA’s Future Trends Forum, members gained insights about dental support organizations (DSOs) and how this practice model is currently functioning in the dental market. The varieties of DSO models that exist. How DSOs see their role in the dental provider market. Myths about how DSOs operate and are structured. How DSOs approach dental product procurement and the criteria used to select products and vendors. Several key points stood out from the presentations, including the fact that 10,000 American dentists and 4,800 dental practices are supported by the 57 member organizations of the Association of Dental Support Organizations. Since, by law, dentists must own and operate their practices, DSOs provide non-clinical business support. The key factors for DSOs in selecting vendors are price, existing relationship with a history of successful performance, established presence and strong reputation, manufacturing and distribution capabilities, service team for order fulfillment, quality, and customer service, financial stability, and respect paid to the value of the DSO’s procurement person’s time. In a DSO model, doctor-owners, DSO clinical support, operations, and procurement teams all participate in the product decision process. During the DTA Export Committee Meeting, we discussed multiple future global trade shows to expand the industry, including IDS 2018, Sino Dental, DenTech China, FDI, Greater ARIC Dental 2018 Expo, and more. In addition, the committee received updates for selling medical and dental devices in the European Union and announced an upcoming webinar in the works to guide firms on their post-Brexit European market strategies. We look forward to exhibiting in May at CDA Anaheim. Please visit our website prior to the next dental conference for Richmond’s show specials.